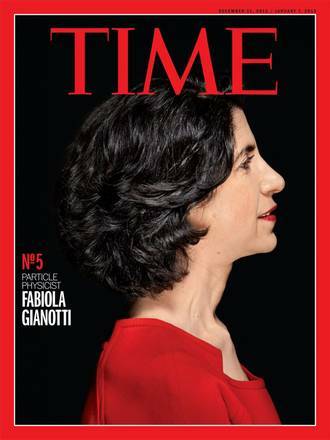 On November 7th last year, Fabiola Gianotti, spokesperson of ATLAS experiment at CERN and one of the discoverers of the Higgs-like boson, has been nominated fellow of the Accademia dei Lincei. This is one of the oldest and most prestigious scientific societies that held fellows like Galileo Galilei and Enrico Fermi. 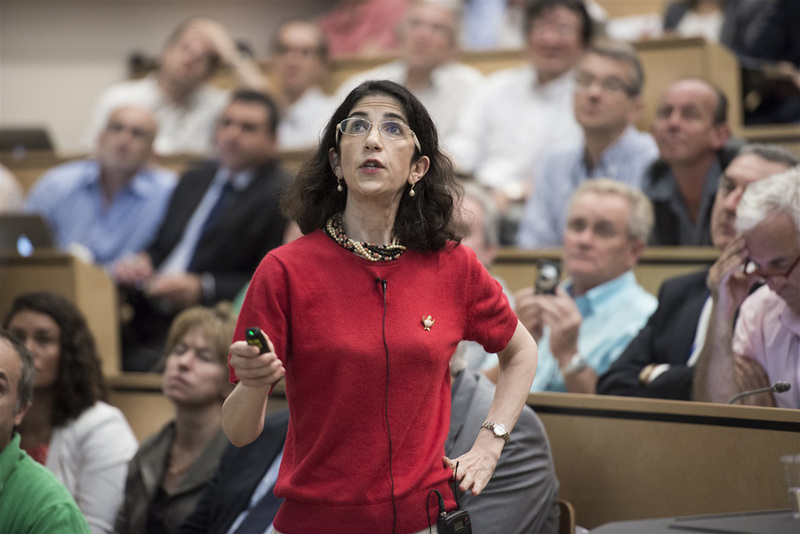 Today, she held a public conference with fellows both of moral and scientific classes about “The Higgs boson and our life”. Of course, I was there to see and listen to her personally. As I entered the room, I asked “excuse me” to three people blocking my passage to the chair. When I sat, I looked at them and I realized who were: Carlo di Castro, Francesco de Martini and Giovanni Jona-Lasinio. They were all my former professors. Also Giorgio Parisi was there and later Luciano Maiani entered the audience. Undoubtedly, the audience was truly remarkable. Lamberto Maffei, president of the Accademia, introduced Gianotti through her main achievements and awards. I would like to remember that she gave the money of the Fundamental Physics Prize for student grants. The aim of this conference was to convey to all fellows of the Accademia and public at large what was behind the discovery of the Higgs-like particle announced on July 4th last year. For me has been a good chance to hear, from one of the persons mastering this matter, a talk addressed to everybody without the use of technical jargon and using several nice images. Gianotti has shown a very fine gift for this. I would like to reassure my readers that she used comic sans. By my side, I was proud to hear that 1400 scientists working at CERN are Italians and that an Italian company, Ansaldo Superconduttori Genova, is responsible for one third of the realization of the superconductors at LHC and are also installed in ATLAS detector. At CERN it is working a great majority of young people. Gianotti said that it does not matter if you are a graduate student just entered the team. If your idea is good it is taken and applied. This is what makes scientific enterprise quite different from other realities and renders it so effective. Ideas count more than any authority. Gianotti pointed out how difficult the situation is for Italy as we have a lot of young people leaving the country for academic positions at foreign universities while there are very few students coming in Italy to do research. Also, reduced budgets from our government with nonsensical cuts can produce a gap between generations of a line that produced excellent people. Recovering would be difficult then. Turning attention to the discovery, I would like to emphasize that Gianotti repeated more and more times that the only certainty is that Standard Model, a beautiful theory, is verified with very high precision without no hint of breaking so far. But she warned the audience that we know that it must be overcome motivating this mostly from evidence of dark matter. The new particle, she said “Higgs-like”, resemble more and more the one originally postulated by Peter Higgs et al. but they have a lot of data to analyse yet and cannot be certain it is that one yet. They hope to clarify this matter with these other data (Moriond?). She used an interesting image to describe the Higgs field to common people and then turned to the technical one to recover with respect to the formidable physicists were present there. Who speaks Italian can appreciate this video: Gianotti, Tonelli and Bertolucci explain Higgs field with children on similar lines. The reason why she referred to our life is that most people generally ask “Why?”. Why all this effort to catch such a particle? She gave the beautiful example of J. J. Thompson and the discovery of the electron. When this happened both Thompson’s life and that of his neighbourhood did not change at all. But with the discovery of electronics and its application we all know now what all that has meant. For the Higgs particle can happen the same. From the discovery to its possible applications can pass some time and we need fundamental physics as a priori we cannot foresee the consequences but when they appear can be devastating and change our life definitely and forever for better. Gianotti said that without fundamental research, applied research dries up and eventually dies causing serious troubles to the economy of a country. I completely share her view. She also showed how hadron therapy and pet imaging were by-products of such endeavour. Questions took more time than expected as the talk was really exciting and several people asked questions. 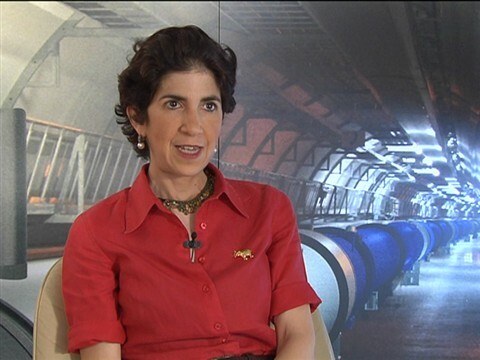 She took this chance to recognize her debt with Ettore Fiorini, in the audience, that introduced her to particle physics and taught her a lot about it. Also Giorgio Salvini was present and asked for beyond LHC. Gianotti said that they hope to have LHC running for more than twenty years as also happened to other accelerator facilities. Salvini participated to most of the history of particle physics since Fermi’s time. He was in the experiment at CERN that produced W and Z particles for the first time with Carlo Rubbia. Francesco de Martini asked a technical question: Has Higgs particle cosmological implications? He was referring to a paper by Lee Smolin that claims that, due to this field, geometry should change from a Riemann to a Weyl one. Gianotti answered immediately that the cosmological implications for the Higgs particle are enormous. The reason is that this is the first scalar particle ever discovered and inflation, the main mechanism in the Standard Model of cosmology to solve the problem of the homogeneity of the universe, has as a basic ingredient a scalar field. CERN discovery shows once again that the idea of inflation is in the right direction. de Martini was not satisfied with the answer turning back to the Smolin’s paper. Then Gianotti asked support to Giorgio Parisi, Parisi is one of the greatest Italian theoretical physicist, that confirmed Gianotti’s answer and said that, even if he is not an expert in the field of general relativity, people working in this research area have devised everything but the kitchen sink and so he would not be surprised if something like this was conceived. In the end, a very beautiful talk from a great physicist. 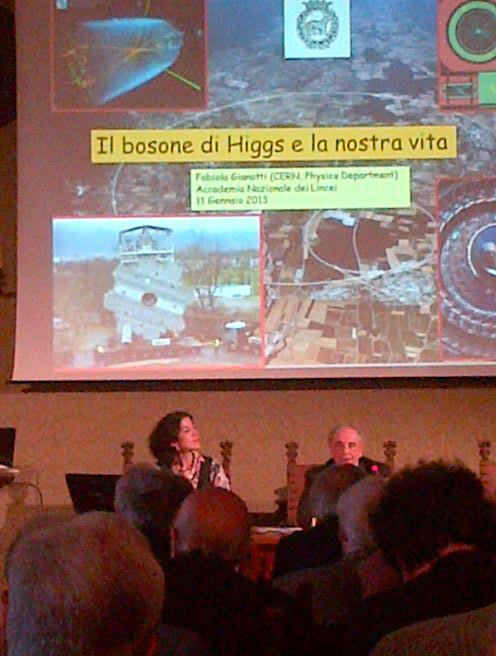 I would like to paraphrase what Gianotti said about Higgs and its light mass: Thanks Nature for giving us Gianotti! You are currently browsing the The Gauge Connection blog archives for January, 2013.